This book intends to increase general knowledge about two of the most studied and prevalent emotions in everyday life: anger and anxiety. Despite being a major aim of many research studies and theoretical perspectives, there are still many controversies and issues that remain unsolved. Therefore, this book includes a collection of chapters that provide a further advance not only on the theoretical issues related to anger and anxiety, but also includes recent empirical findings in different applied contexts (e.g., military, sports, etc.). The chapters are distributed between two major sections: a) Theoretical and conceptual approaches; and b) research and implications. About twenty-four authors and co-authors with diverse scientific backgrounds and from ten different countries have tried to expand our knowledge on anger and anxiety, through ten conceptual and empirical papers, including laboratorial and applied field studies, with such diverse populations such as children, adolescents and adults. Overall, within an integrative perspective, these studies highlight (among other issues) the importance of considering the many self-regulation processes (e.g., coping, emotion regulation, self-control, etc.) associated with these emotions as well as their consequences and effects on health outcomes, interpersonal relationships and general psychological functioning. The editors believe this book will be an important contribution to the future theory and research of anxiety and anger by promoting other reviews and studies toward a better comprehension of how individuals deal with these emotions across several life and applied domains. Hopefully, this book will also fuel further investigations that combine both of these emotions, which often seem to arise simultaneously. 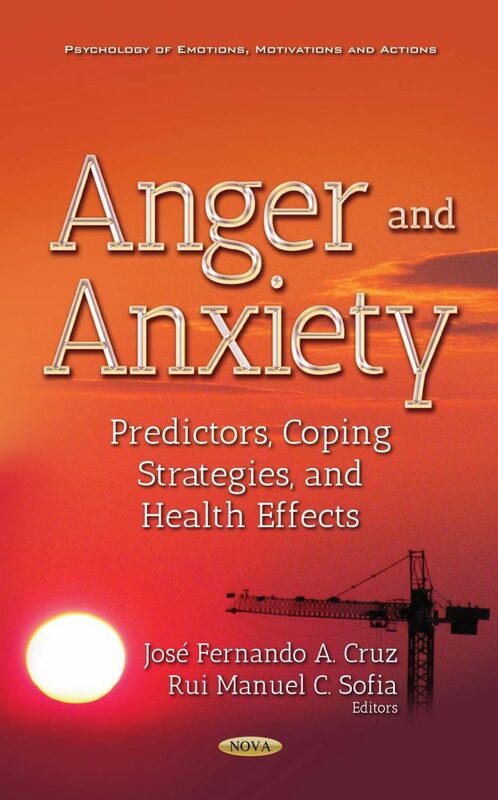 Ultimately, the main aim of this book is to provide important guidelines and cues for interventions directed at helping individuals dealing and managing their anxiety and anger, contributing to their overall well-being, psychological functioning and general adaptation to everyday complex demands.